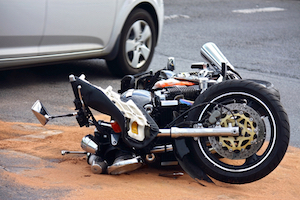 Motorcycle accidents can be particularly serious for a rider. Attorney M. Jeanne Trott provides seasoned legal representation to Manchester motorcyclists injured in a crash. As a car accident lawyer with over 25 years of experience, she understands the unique aspects of these collisions. If you were hurt because a driver acted carelessly, attorney M. Jeanne Trott is dedicated to helping you pursue the compensation you deserve. New Hampshire law provides remedies to people involved in a motorcycle accident. By nature, riding these vehicles is more dangerous than traveling in a car because the bike is unenclosed, has two wheels, and is therefore less stable than a car. Many accidents are due to the size of motorcycles compared to automobiles. Car drivers simply do not see the riders. Negligence governs many motorcycle accident claims. Following a collision, riders can file a personal injury lawsuit against a driver who was responsible. The motorcyclist, who would be the plaintiff, could potentially seek compensation for medical bills, lost wages, pain and suffering, property damage, and other items from the negligent driver, the defendant. In the case of a tragic death caused by a motorcycle collision, a family member may file a wrongful death claim to recover the cost of funeral bills, medical costs, and loss of companionship. To prove negligence, the motorcyclist must demonstrate that the defendant driver owed him or her a duty of care. Next, this duty must have been breached, meaning that the driver did not behave as carefully as he or she should have in the particular situation. Additionally, the defendant’s conduct must have directly caused the plaintiff’s injuries. The final element consists of identifying quantifiable damages that the victim incurred. All individuals are obligated to drive with reasonable care. If a driver fails to stop at a stop sign or speeds through an intersection, this duty likely has been breached. Sometimes a driver blames a motorcyclist for the collision. Under the modified comparative fault rule, New Hampshire law does not allow a victim to recover compensation if he or she is shown to be at greater fault than the defendant driver. Otherwise, a motorcyclist at fault may have the damages reduced by the degree to which he or she was responsible for the accident. N.H. Rev. Stat. Ann § 507:7(d). In most motor vehicle collision cases, New Hampshire requires that injured parties bring their lawsuit within three years from the date of the crash. This statute of limitations applies to all personal injury claims brought in the state. The Court will typically not hear lawsuits brought after the three-year time period. At our firm, motorcyclists hurt in collisions receive dedicated, personalized legal representation. Attorney M. Jeanne Trott serves victims of motor vehicle accidents, car accidents, and trucking accidents throughout New Hampshire, including in Bedford, Hooksett, and Auburn. To discuss your motorcycle accident case, contact us at (603) 624-7500 or use our online form to set up a free consultation.